A look at some of the top sports videos over the last week on the excellent video-sharing app Clippit. This is our weekly look at the most popular — or in some cases our personal favorite — videos on Clippit over the past week. Clippit is an awesome app that allows us to quickly grab 30-second clips from several live TV broadcasts and share them on social media. 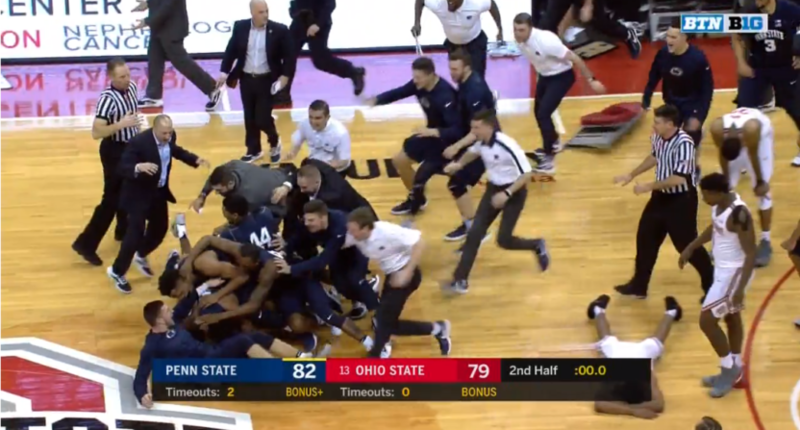 The finish to Thursday night’s Penn State-Ohio State game was incredible, with the Nittany Lions matching a crazy Ohio State three to win at the buzzer. To make your own great clips like this, download the Clippit app on the App Store and Google Play. You can follow them on Twitter at @ClippitTV.